Sharpie Clear View Highlighters feature a unique, see-through tip to eliminate blind spots while highlighting text and to clearly define when to stop. The chisel tip delivers precise highlighting for thin and thick lines. Smear Guard ink technology resists smearing of many pen and marker inks (let ink dry before highlighting). 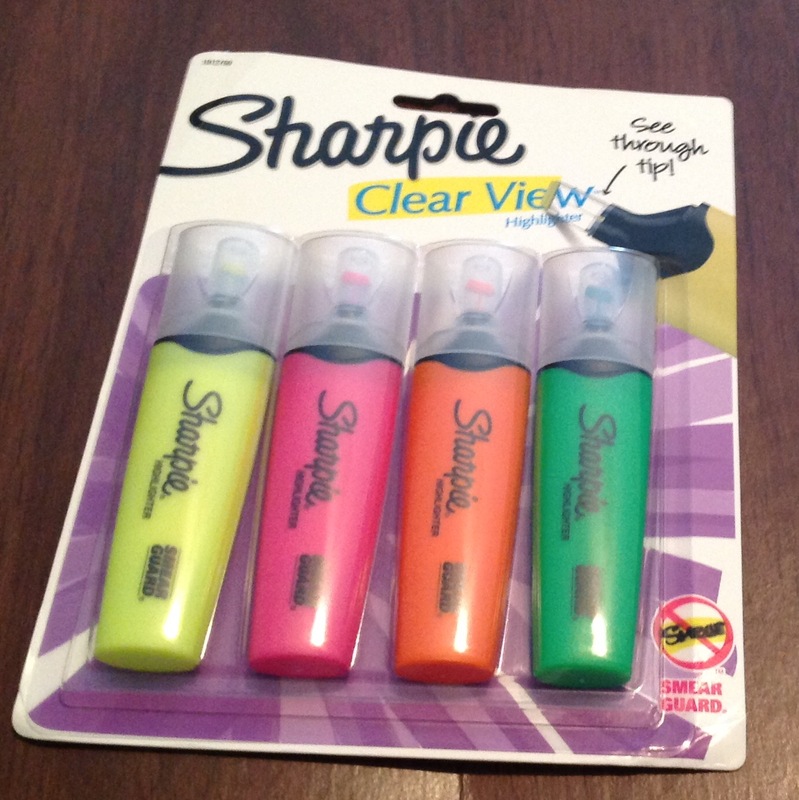 Fluorescent assorted colors include yellow, pink, orange and green. Highlighter is certified AP nontoxic. 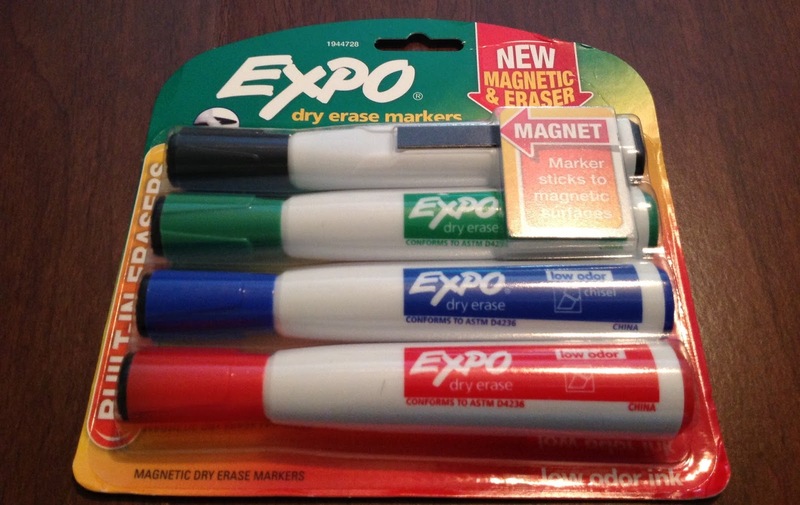 Lock your whiteboard markers to any metal surface with magnetic dry erase markers. An integrated magnet provides convenient and care-free storage on metal-backed whiteboards and other metal surfaces. Whats more, the cap features a handy eraser for precise, on-the-fly erasing. Quick-drying, low-odor ink is perfect for both the office and classroom. Fine, chisel tip draws bold details and allows users to draw 3 line widths. Marker Type: Dry Erase Assortment: 1 Black 1 Red 1 Blue 1 Green Colors: Assorted Tip Type: Chisel. Two chisel tip colors in one dry erase marker. 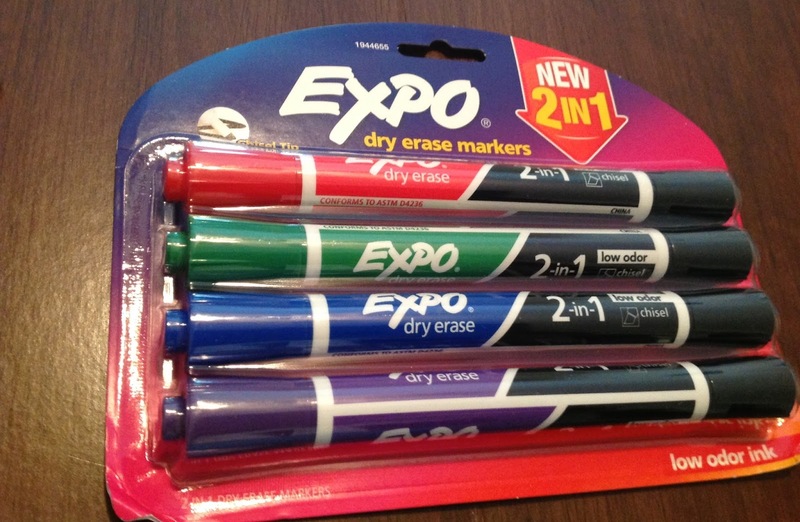 Use EXPO colors to track, schedule and present. Low-odor ink. For use on whiteboards, glass and most non-porous surfaces. 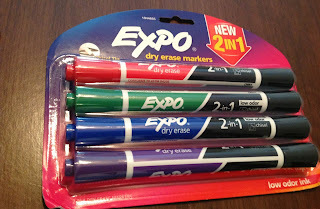 Marker Type: Dry Erase Assortment: Blue/Black Green/Black Purple/Black Red/Black Colors: Assorted Tip Type: Chisel. Offers brighter and bolder colors than ever and a premium ink system for super-smooth ink that delivers crisp, clean lines for effortless writing. Specifically designed for the highest levels of comfort and style, it features a premium barrel design with a full body length grip and metallic accents throughout the pen. Integrates a translucent window that matches the grip color and a modern clip that is uniquely designed to look like it's floating. 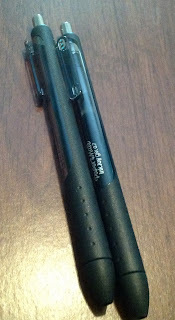 Point Size: 0.7 mm Point Type: Medium Ink Colors: Black Pen Type: Gel. Cassandra's Review- All of the high quality and easy to use products are not only extremely helpful but fun to use.